Broadcasters attending IBC 2013 will only need to stop at DPA Microphones’ stand D76 in Hall 8 to cover all HD broadcast microphone applications, from the single interview to the complete TV show. Since its beginning in 1992, DPA Microphones has been developing microphones that deliver HD sound from the deepest sounds to the highest peaks, covering the whole dynamic range, delivering perfect, linear HD sound. Christian Poulsen, CEO of DPA Microphones, says: "People spend a lot of time in front of their TV and enjoying this experience depends on the picture they see and the sound they hear. This is where DPA microphones make the difference. A poor sound, even with a good picture, is not accepted. Our goal is to make it as easy as possible for the sound engineer to work with DPA microphones. This means that they are extremely linear and need very little or no EQ’ing. DPA is the only company on the market that delivers the same sound pattern, whether you work with a miniature microphone or a larger d:dicate microphone. The microphones simply blend perfectly and give a fantastic sound experience – for the sound engineer and the audience." Broadcast applications cover many situations and different miking possibilities depending on requirements, taste and specifications. In the broadcast studio the TV host is close miked with a DPA lavalier miniature mic mounted on the chest, or perhaps the elegant d:dicate mic on a goose neck mounted on the desktop. The journalist (the VJ) who interviews people in the field needs lightweight equipment because he has to record both the video and the sound at the same time. He would be miked with a DPA miniature or headset mic, while recording the interview with a d:facto mic. In a full blown TV talent show, the TV host wears a d:fine Headset Microphone, the singer sings into a d:facto Vocal Microphone, the band is reinforced with d:vote 4099 Instrument Microphones and d:dicate Recording microphones and the whole ambience is captured with the 5100 Mobile Surround microphones. And the list of combinations goes on and on. "We believe we deliver the best sounding microphones to the broadcast industry and you can challenge us on that," Christian Poulsen adds. "The audience deserves the best and we want to be the first choice when it comes to the best sounding microphones. The hallmarks of DPA’s ingenious engineering techniques ensure that every DPA microphone delivers clear, transparent and precise sound, along with the robustness and versatility." Beside DPA’s unique miniature based microphones, broadcasters will be particularly interested in the new d:dicate 4017C Shotgun microphone, a shorter version of the popular d:dicate 4017B Shotgun microphone. Thanks to the modularity of this new d:dicate range, DPA has been able to team the much loved 4017 shotgun capsule with its compact C preamp to create a microphone that is ideal for boom recording in tight spaces and rooms where ceiling height is limited. Offering the same functionality as the 4017B-R, which is the shotgun microphone in a Rycote Windshield, the 4017C-R offers the same solution, just with the 4017C and a smaller Rycote Windshield to give outside broadcasters, journalists and location film-makers everything they need for clear, directional sound, regardless of weather or environmental conditions. The d:dicate series has been expanded with yet another new preamplifier solution, two modular active cables (MMP-ER with rear cable entry and MMP-ES with side cable entry), plus a number of modular active booms (MMP-F). These new microphone solutions can be used in many different applications, for example as a microphone solution on a desktop, on a podium, suspended for high-end capture or on elegant stage stands. The active booms come in several lengths and configurations with flexible gooseneck and XLR termination. The new active cable only adds a centimeter to the capsule, making it even more discreer than the compact C preamp, but giving comparable performance. 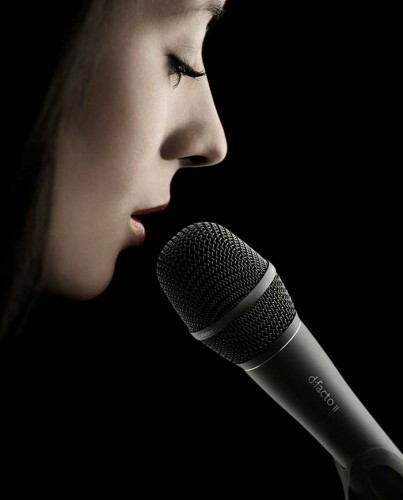 At IBC 2013, DPA Microphones will also be showing its new, high quality d:facto II Vocal Microphone that gives users unlimited possibilities for their performance. This eagerly awaited addition to the DPA condenser microphone range brings true studio sound to the live stage by offering an extraordinarily natural sound, superior gain before feedback and extreme SPL handling. In addition to use with the new wired DPA handle, the d:facto II provides singers and engineers with the added benefit of a state-of-the-art adapter system that allows for seamless integration with many professional wireless systems. 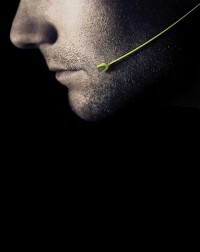 DPA will complete its IBC 2013 line up with its expanded d:fine series of Headset Microphones. Offering impressive gain before feedback and very stable construction, these unobtrusive microphones are easy to fit and provide presenters and guests with a discreet microphone solution that can’t be seen on the face. The d:fine range is renowned for its audio accuracy and its ability to deliver natural voice intelligibility and consistent audio performance at all SPLs. Available in both directional and omnidirectional options, in single or dual-ear designs and with long or short booms, d:fine headset Microphones are designed to fit comfortably and can be adjusted to accommodate any ear size and head shape. At the DPA stand every microphone can be listened to and there is even a tombola where you can win a d:vote 4099 Instrument Microphone every day at 5 pm.